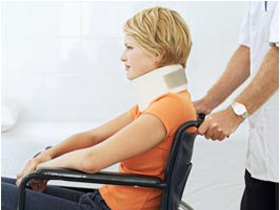 Have you endured an injury due to the negligence or carelessness of another person? Are you suffering the long recovery time of an automobile accident and worrying about how you can cover your bills and lost wages? In the aftermath of a car accident or other personal injury, it’s easy to feel overwhelmed. And when your injuries are the result of another person’s negligence, it only gets worse. That is why you require the services of a professional Personal Injury Attorney in Daytona Beach, FL, to ensure that you do not suffer from what occurred due to the recklessness of another person. I have been able to get back several millions of dollars in terms of compensation for my clients in Daytona Beach, FL, and nearby neighborhoods. As your Daytona Beach Personal Injury Attorney, I will try my best to make sure that justice is served, and you get what you need to get your life on track after the occurrence of personal injury. My job is helping various individuals that have been victims of personal injury as a result of someone else’s negligence, recklessness, or carelessness get their life back on track. I will ensure that you are offered outstanding legal representation, well backed by significant evidence, technological, and financial resources. Every case will be handled without overlooking even the slightest details. Each Daytona Beach Personal Injury case will be comprehensively investigated. I will also ask for access to the primary accident biomechanics and reconstruction professionals to offer you the best care in the event of the spine, back, brain, or neck injuries. Regardless of how challenging your personal injury case may be, I am always ready to fight for you. 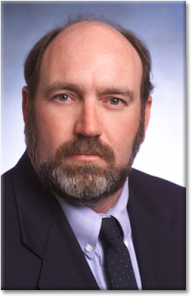 With over 33 years of experience as a trial lawyer covering the full breadth of personal injury and workers compensation cases, from slip-and-falls to dog bites, and from burns to car accidents, I understand the deeply personal and individual nature of an injury case. And as an advocate for your rights in Daytona Beach, I recognize my responsibility to my community and clients, and while many lawyers might pass your case off to an investigator or paralegal, I personally manage each case with the same level of professionalism and expertise that I would expect, myself. You’re already burdened during your recovery, you don’t need to be burdened finding a competent personal injury attorney in Daytona Beach who will aggressively defend your rights. You need responsive and compassionate care for your unique situation, so you can get back in control without missing a step. Let my experience work for you. As a Personal Injury Attorney Daytona Beach, I understand the comprehensive, personal nature of each personal Injury case. I will always ensure that you are offered compassionate, responsive, first class care that is well above what other Personal Injury Lawyer in Daytona Beach, FL can get you. Each case is unique, and I strive to understand all sides of your exact situation. Using this, I am able to defend your rights effectively. In the event of personal injury, you deserve the best legal representation. Hire me as your Personal Injury Attorney Daytona Beach and you are guaranteed to get the best of legal representations. Give me a call today. I am always ready to fight on your behalf.